When I started writing, it all seemed so simple. I had a message that I felt God was calling me to share, so I wrote. I wasn’t particularly bothered about who was reading. Each comment encouraged me and I came to appreciate the community I found, but mostly my focus was on writing what I felt called to write. On the one hand it was tiring and confusing and there just wasn’t time. On the other hand people were constantly telling me how important these things were and that my aim should be to grow my number of readers. It’s a tension, and one which I think is experienced by most Christian writers and speakers. As Christians, we are called to humility – to love God and serve others rather than seeking to build ourselves up. But at the same time we are called to let our light shine. God wants us to impact others for him – through our writing, our speaking and the way we live. We are not called to hide the light he has given us. If we have a message to share, surely we want it to reach as many people as possible. But how do we do that with integrity? I was delighted to hear of a new book tackling this very subject: Influence: Building A Platform That Elevates Jesus (Not Me) by Kate Motaung and Shannon Popkin. I hadn’t encountered Shannon or her writing before reading this book, but Kate is someone who has encouraged me in my writing from the very start and I have always appreciated her humility and the way she points to Jesus, so I knew she would have helpful insights to share. I was not disappointed. The book is not so much a “how to” guide, but a “why to” guide. It focusses on examining your heart and your motivation for writing or sharing. 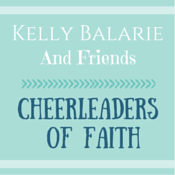 Kate and Shannon each share parts of their own stories as well as pointing us to the Bible and the example of Jesus. I have been guilty at times of submitting my work in the hope of exposing it to a larger audience, rather than because it is a place where my writing actually fits. This usually leads to rejection and disappointment. 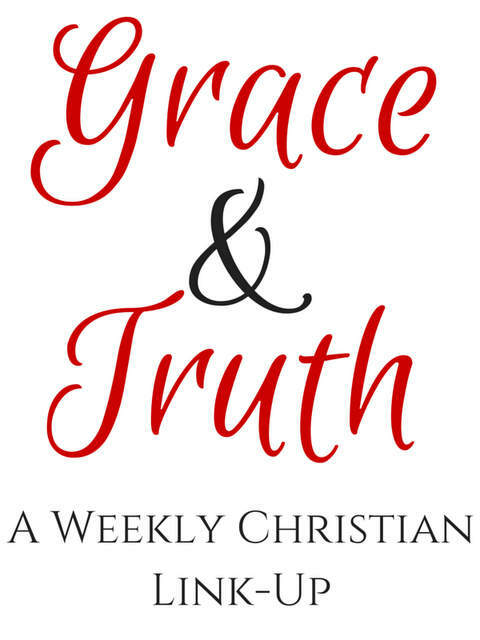 By contrast, when I heard about the opportunity to write regularly for Gracefully Truthful, I knew it was the perfect fit for me. I was accepted straight away and every time I receive details of the assignments available for the coming months, I feel inspired and excited and there are several I’d love to write! Blogging caused me to try out various social media platforms. To my surprise I discovered that Twitter is the one I enjoy and Pinterest is one that I don’t enjoy or understand at all. I know that many people love Pinterest but it just doesn’t work for me. If I was to use it, it would be for all the wrong reasons, so I have chosen to focus my attention elsewhere. Don’t use others to build your platform or try to get ahead. Don’t see other writers as competition. As a much more experienced writer said to me at a writing conference I attended, “We’re all on the same journey, just at different points.” The Christian writing community is amazingly encouraging and supportive and I am so grateful for the friendships and connections I’ve made. For me, these are only worthwhile if they are genuine. I would rather have one person read a post and be helped or challenged or encouraged in a meaningful way than have a hundred people read it and forget it. We never truly know the impact our words are having. On a few occasions I have received a comment or a message from someone who has been following my blog for a while but has never commented before, saying how much they have appreciated what I share. Those comments are precious! It’s easy to get distracted. We need to stop regularly to consider why we do what we do, to examine our motivation and look at who we are really seeking to glorify with our writing. I love this song by Casting Crowns – I’ve been listening to it a lot lately and it definitely helps me to refocus on what really matters. What about you? I’d love to hear your thoughts on this and any tips or experiences you have to share. You can find out more about Influence and here along with details of an online book discussion beginning on 4th February. You can find it on Amazon at these links: UK, US. I only feature books on my blog that I can wholeheartedly recommend. Amazon links are not affiliate links but are provided for your convenience. I appreciated this review. I find it most difficult to balance the tension between writing and building a platform. The latter makes me so uncomfortable. I loved the song as it brings us back to the only important thing – Only Jesus. May my family and friends remember Him in my life and in anything I have done. Blessings! Thanks, Joanne! Yes, I love how the song reminds us what it’s all about and that the focus should be on Jesus not us. Trying to get more readers and viewing others as some weird kind of competition can too easily creep onto my radar. Jealousy is the ultimate relationship killer … and isn’t relationship what we’re doing as we blog, connect, build each other up, do community with other kindred spirits. Your words are so wise on so many levels … as soon as I post this comment I’m going to re-read all over again. Thanks so much for reading the book and leaving this review, Lesley! So appreciate your time and support. Every blessing to you as you continue using your gifts for His glory! You’re welcome! The book was really helpful. Thanks for all your encouragement. Blessings to you too! Such wise insight here, Lesley. Thank you. I love the song! Yes, it’s all about Him, not about us! It’s so easy to slip into people approval or jealousy. Thank you for reminding us to keep our focus on Jesus. Love and blessings to you! Thanks, Trudy! Yes, it is easy for our focus to drift. We need to remind one another and encourage each other to keep doing it for God. Love and hugs to you too! Wonderful advice, Lesley. I think we all have to learn these lessons for ourselves (more or less). It is so good to hear it from a seasoned, successful blogger. We all must learn to write what we feel called to write. Thanks, Laurie! Others’ advice is helpful but we do also need to think it through for ourselves and figure out what works for us. Wow, love the look of this book. Thanks so much for sharing on the #LMMLinkup this week. Thanks, Mary! It’s a great book. I’d definitely recommend it to any Christian writer or blogger. I walk this same tightrope, wanting to share authentic words, desiring the satisfaction of sharing those words with as many readers as possible–but not wanting to be a slave to SEO and all the other alphabet soups that govern the blogging universe. Thanks for the way you navigate this so gracefully. Thanks, Michele! I think it’s a tension most of us feel. I’m glad this conversation has been opened up about how to deal with it well. Thanks, Lauren! I’m glad you found it helpful. I’m sure you’d like the book. I love your review of Influence. It is the perfect book to point us to Jesus in all we do but it is also a good conversation starter. Your ideas help me to focus on writing what I love best. I should know that when writing if it doesn’t feel right to me, chances are its not going to glorify God or connect with my readers. Thank you for this review and your own thoughts. Thanks, Mary! I agree, it has opened up a good conversation. It’s helpful to read different people’s thoughts on the book as well as on the whole issue of influencing others and how we keep our focus. What a fantastic book and topic. I see so many of the lessons you shared shine through in your writing and friendship Lesley! Thanks for sharing! Also yay Casting Crowns new music! Thanks, Bethany! Yes, I was excited to see that Casting Crowns had a new album. Lots of other great songs too! I just purchased this book! I can’t wait to read it. It looks fabulous (and like the lessons I need!) This writing world can get very overwhelming. But this looks like a great way to refocus. That’s great that you bought the book. I hope you find it helpful! Well said, and I’m so glad this book is out there now! We have to be intentional about remembering our message and purpose. Supporting one another helps a lot with that effort as well. Thanks, Traci! It definitely helps to support one another and keep each other on track. Thanks for a great review, looks like a book I would like to read. It sounds very encouraging, pointing us in the right direction! All for His glory! Thanks, Cheryl! I’d recommend it for all Christian writers! I’m always happy to see people reading and enjoying my blog, I just pray whomever needs to will. I think praying and releasing it to God is one of the best things we can do. He can lead the people who need our words to read them. Thanks, Lesley, praying to follow His lead. Lesley, what a great post! I really want to read Kate and Shannon’s book. I’m going to have to wait for a bit though. I so appreciate the perspective and heart you shared on this topic of writing for Jesus and not worrying about the numbers. This is a topic I frequently remind myself about…what matters most is that I’m sharing the words God has given me to share. And He will bring the readers—many or few—who need to read those words. Thanks, Jeanne! I’m sure you will like the book. Yes, it definitely helps to keep our eyes on God, writing what he wants us to write and trusting him to get it to the people who need it. I need to get active again reviewing books. I missed this launch party, but it sounds like such an excellent book. 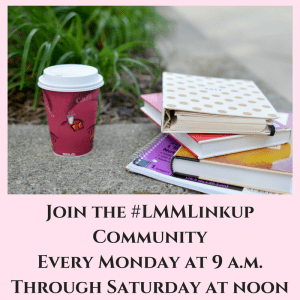 Thanks for sharing on the #LMMLinkup this past week. Thanks, Mary! Yes, a really helpful book for all Christian writers. Ooh, this sounds like a great book! I’ll be on the lookout for it. Thanks for sharing, Lesley. This is a topic that many of us bloggers likely deal with. Thanks, Lisa! Yes, it’s a really helpful book. I think all Christian bloggers would benefit from it. Your post is so encouraging to keep on writing what God calls us to write not worrying about who is reading. He will send the ones who most need to hear our words. And, yes, we are supposed to let our lights shine so others can see Jesus. Blessings to you! Thanks, Gayl! I’m glad you found it helpful. Blessing to you too! Lesley, great advice here. It is so easy to get overwhelmed with all the things we should be doing to be a successful blogger, that sometimes it takes the joy out of it. At first I was oblivious to all the things I was supposed to do, and then I started reading articles and listening to podcasts, and suddenly I was doing nothing right. Then I realized I can’t do it all. There is just one of me. I keep coming back to your points. We need to do the things we enjoy and write what we are called to write. This sounds like a wonderful book. I want to check it out. Thanks, Theresa! Yes, there are so many things we could be doing with writing and blogging. It is helpful to remember our purpose and try to focus our attention on the things that really matter! Thank you, Annie! I hope you find the book helpful. Blessings to you too! This was a great encouragement, Leslie. Your review of the book, as well as, the pointers from your own experience remind us of the real reason we blog as Christian writers. Thanks, Aminata! Glad you found it helpful! This post truly ministered to me, Leslie. You touched on some issues I’ve been struggling with. Thank you. Thanks for letting me know, Jack! I’m so glad it was helpful. Certainly one of the most practical, insightful and helpful posts that I have read in a while – and so needed for me right now. I spend way too much “worrying” about the effectiveness of my blog (as a whole) and how it compares to all the other wonderful writers I read…and much less on actually writing the words – and the joy of writing for His glory! Thanks for the refocus!! Thanks, Jennifer! I’m so glad you found it helpful. Comparing ourselves to others can be a big distraction from what we are called to write and from why we are doing it. I always find your words helpful!